Instantly erase dark circles! Eye area appears radiant and refreshed in no time with Maybelline's Instant Age Rewind Eye Eraser Concealer. 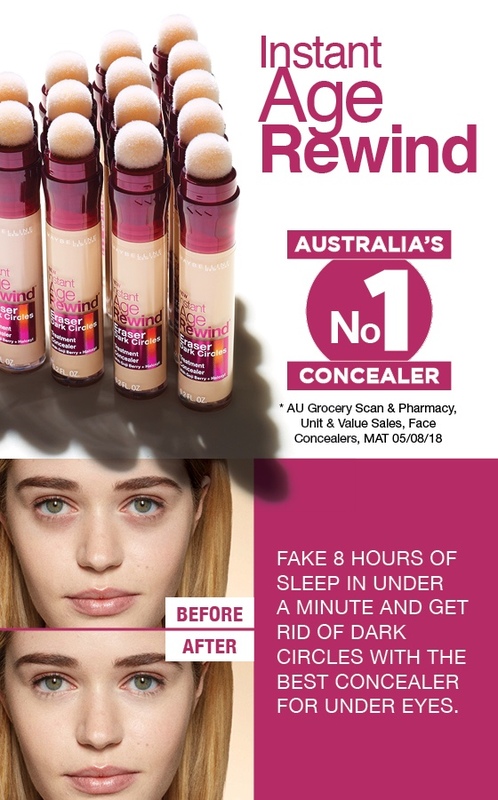 Maybelline Instant Age Rewind Dark Circle Concealer - Fair is rated 4.7 out of 5 by 36. Rated 5 out of 5 by Bee86 from Love this concealer! Nice coverage. Concealer has good coverage and a nice soft applicator. I have dry skin and some concealers sit badly or look patchy. I love how hydrating this product is. I don’t like the turn release for liquid foundations and concealers because you can’t see how much product is being released but it’s a small complaint for a great product. Rated 5 out of 5 by Chiggaz from Amazing product! Great coverage & Long lasting! also doesn’t give me pimples!! Love this! Rated 5 out of 5 by Blemish free from Excellent coverage I bought this as a concealer as I suffer from Roseaca. I’ve tried many but this one is the best. Easy to apply and blends well. A great buy and at a very good price.